We all know that good care is essential for healthy teeth, but if you have crooked, overcrowded or widely spaced teeth then you will know how it affects your looks and can make you feel embarrassed about smiling. Many adults would love to enhance their looks, but are not keen to have corrective treatment as they associate braces with having a mouth full of metal for months on end. Social and professional situations can feel very difficult if you are worrying about whether people can see that you are wearing braces. London dentist Graham Tinkler, knows how important the appearance of your teeth is and can offer a solution. Your London dentist, Graham Tinkler is proud to offer advanced, discreet teeth straightening using a technique called Invisalign. He is one of the leading practitioners in the UK, as well as being one of the leading BUPA Invisalign dentists. He has proved himself as a dentist who is committed to treating complex cases with skill, reliability and a flair for creating a great smile using the latest technologies. So, even if you have been refused Invisalign treatment at other practices, Graham Tinkler may be able to help. What should I expect from my dentist, Graham Tinkler in London? Your initial consultation is complimentary, so that you have the opportunity to discuss your case. You will be provided with a fixed, all-inclusive cost for your individualised treatment so you know exactly what to expect and you can choose to spread the costs using 0% finance. To ensure that you are totally satisfied with the result, teeth refinement, whitening and official Invisalign Vivera retainers are included as standard, as well as recontouring the edges of the teeth to help with proportion and symmetry. When you commence treatment, you will have impressions taken as well as x-rays and photographs. A series of aligners are made to fit your mouth precisely, and you wear new ones every two weeks to guide your teeth gently into their correct position. You can be sure that treatment from your dentist, Graham Tinkler in London, will be carried of professionally and effectively to give you the results that you deserve. This entry was posted in Dentist on 11th July, 2017 by Clearbrace Dentist. What dentist should I pick? Do you want to be treated by one of the UK’s leading and most experienced dentists? Do you want your dentist to have many years of experience and have treated celebrity patients? 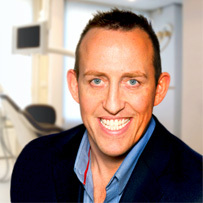 If yes, Dr Graham Tinkler could be the man for you, as your new dentist in London. Can Graham Tinkler straighten my teeth? Dr Tinkler is well renowned for his invisible braces success levels. He was one of the first dentists to receive the unique Platinum Elite status for Invisalign treatment in 2006. No other dentist has pushed the boundaries of Invisalign in quite the same way ever since. He has even successfully treated many cases that were previously refused treatment by other dental practices. He prides himself on completing complicated cases with dedication and skill from start to finish with a passion and precision that sets Graham Tinkler apart from other dentists in London. He firmly believes that cosmetic dentistry must complement the overall general and oral health of the patient. He also makes treatment decisions based on evidence-based research combined with his own personal experience. He also frequently lectures and acts as a mentor to other dentists wishing to improve their professional technique. Surely you are thinking Graham Tinkler could be the right choice for you given his amazing accolades! Can I afford treatment from Dr Tinkler? Dr Tinkler likes to give his patients a fixed all-inclusive cost. Your current dentist in London may not include the important finishing touches required of your dental treatment. The main areas some dentists try to cut costs are on the quality of the final result. If you are unsure if Graham Tinkler should be your new dentist in London, we are happy to offer a free initial consultation to give every patient give the opportunity to discuss every aspect of your treatment with Dr Tinkler. We proudly offer a custom-made service to all our patients. At the consultation stage, Dr Tinkler will give you an accurate, fixed written cost for your treatment. As well as this, we are happy to offer 0% finance options to help our patients spread the cost of treatment. This entry was posted in Dentist on 20th June, 2017 by Clearbrace Dentist. While many adults eagerly want their teeth straightened, they feel somewhat awkward and intimidated about wearing metal braces. Luckily, modern dentistry is constantly evolving and discreet teeth straightening options are emerging to make treatment as comfortable as possible. If you are an adult with crooked, misaligned or overcrowded teeth and do not wish to have metal braces for aesthetic reasons, chances are that you can successfully straighten your teeth with the help of an Invisalign dentist in London. Graham Tinkler, a renowned Invisalign specialist, splits his time between various dental practices in London, even treating patients with Invisalign who were previously refused treatment by other clinics. His dedication to treating complicated cases through from start to finish with passion and accuracy, set him apart from other Invisalign dentists in London. Invisalign is an innovative treatment that consists of a series of transparent, removable, plastic aligners, which help your teeth move into their correct position over a prescribed period of time by your London dentist. Graham Tinkler will evaluate your problem in detail and create a 3D model of your teeth, including all the expected tooth movements. This model will help him create an individualised treatment plan. Each aligner is worn for approximately two weeks at a time until replaced with the next one in the series. Every set of aligners is moulded slightly differently, causing teeth to shift slowly into a new position. The end of your treatment period, will be determined by your London dentist, Graham Tinkler. Undoubtedly, the most important benefit of Invisalign is invisibility. Since the aligners are made of clear, high-quality plastic, you can have your teeth straightening without anyone knowing. Moreover, Invisalign aligners are removable allowing you to brush and floss your teeth normally, without having to work around brackets and wires. However, you must wear your aligners for at least 22 hours per day for effective treatment. Another important benefit of Invisalign, is being able to enjoy your favourite foods without the fear of food particles getting stuck in your braces. Finally, Invisalign requires fewer visits to the dentist, therefore, it is ideal for busy adults. This entry was posted in Dentist on 16th May, 2017 by Clearbrace Dentist. Are you tired of hiding your smile because you’re not satisfied with the way your teeth look? Do you dream about the day you have straight teeth? Many adults wish to straighten their teeth but want to do so without having to resort to metal braces. If you are ready to make a change in your appearance, Invisalign may be just what you are looking for. An experienced Invisalign dentist in London, Dr Graham Tinkler is one of the world’s leading diamond-accredited dentists for Invisalign treatment. To date, he has treated over 2000 patients with Invisalign, including many celebrities and sporting personalities. More astonishingly, he has recently just treated the world’s 4 millionth Invisalign patient. Graham believes that cosmetic dentistry must accompany the overall general and oral health of the patient without compromising on aesthetics. This is why he is the only dentist in the UK to have pushed the boundaries of Invisalign in such a way. He has even successfully treated many patients who were previously refused Invisalign treatment by other dentists. As well as running Invisalign workshops and lectures in London, Dr Graham Tinkler also acts as a mentor to other dentists wishing to improve their Invisalign technique. Invisalign consists of a series of custom-made, transparent, removable aligners, which help your teeth move into their right position over a period of time. Your aligners will be changed approximately every two weeks to carefully adjust your teeth with ease and comfort. Each time a new aligner tray is fitted to your mouth, your London dentist, Dr Graham Tinkler, will make minor adjustments to modify and straighten your smile. Total treatment time with Invisalign averages from nine to 15 months and the average number of aligners you will have to wear during treatment is between 18 and 30. Invisalign braces are not only smooth and comfortable to wear, but they’re also removable. That means you can take them out to brush and floss your teeth as well as to eat whatever you like. Invisalign treatment is also ideal for busy adult schedules, since fewer visits to Dr Graham Tinkler, your dentist in London, are required. This entry was posted in Dentist on 18th April, 2017 by Clearbrace Dentist. If you need teeth straightening, you may be afraid that you’re going to get stuck with unsightly and uncomfortable metal braces in your mouth. Luckily, Invisalign has revolutionised teeth straightening in many ways. This relatively new teeth straightening technique consists of a series of custom-made, removable aligners that help move your teeth into their right position. Invisalign is ideal for almost anyone who wants to straighten their teeth without disrupting their daily routine; however, there are several factors that need to be taken into consideration before making a final decision. Our London dentist, Dr Graham Tinkler, will help you decide whether Invisalign is the right option for you. A leading Invisalign dentist in London, Dr Graham Tinkler is passionate about helping people get the smile they have always wanted. He was one of the first UK-based dentists to receive his unique Platinum Elite status for Invisalign treatment in 2006 and he has treated thousands of patients to date. As a matter of fact, he has successfully treated numerous patients who were previously refused treatment by other dental practices. In order to determine whether Invisalign is the right option for you, you need to ask yourself some key questions. Firstly, it is important to know what you want to fix and how severe your misalignment is. While Invisalign is ideal for gapped and crowded teeth, overbites, underbites and crossbites, it cannot always help with very severe cases of tooth misalignment that require shifting the jaw. At the same time, while Invisalign is great for older teenagers and adults, it is not ideal for young teenagers and children. This is because the latter have not fully developed their adult teeth. Finally, because Invisalign is removable, it requires constant commitment. This is because the aligners have to be worn at least 22 hours per day in order to be effective. While this may not be an issue for most adults, some teenagers may find it hard to maintain the required discipline. Generally speaking, Invisalign is an exciting prospect for people who want to fix their teeth discreetly. If you are looking for an Invisalign dentist in London, Dr Graham Tinkler should be your first call. This entry was posted in Dentist on 21st March, 2017 by Clearbrace Dentist. Are you 100% happy with your smile? If crooked, crowded or gappy teeth are leaving you less than pleased with your smile, dentist Graham Tinkler in London has the solution for you. Taking advantage of Invisalign technology, Graham Tinkler can effectively straighten your teeth without a conspicuous mouth full of metal. What can an Invisalign dentist do for you? With your teeth on display whenever you smile, straighter teeth can significantly enhance your smile. In London, dentist Graham Tinkler can help you achieve the smile you’ve always wanted with one of the most discreet technologies available. Invisalign clear aligners are clear acrylic moulds that are almost invisible in appearance. You therefore won’t need to feel self-conscious about your teeth or smile during your treatment. Invisalign uses a series of clear aligners that are each worn for two weeks. Each successive aligner is tasked with moving your teeth that bit further. The more time you spend wearing your aligners, the more effective the treatment. Being a removable braces system, you are free to remove your aligners at mealtimes and when you clean your teeth. This makes good dental hygiene much easier to achieve than with fixed metal braces. For straighter teeth in London, dentist Graham Tinkler is here to make your treatment journey as smooth as possible. At your initial consultation, he will listen to your dental needs and thoroughly examine your teeth. Impressions of your teeth will be made to help create a 3D image of them. This will be used to craft your personal set of aligners. With regular appointments at our friendly practice in London, dentist Graham Tinkler will ensure your teeth are on track to reach their final destinations. Treatment times vary from nine to 15 months, after which you will be able to enjoy your newly straightened teeth. Different Invisalign packages are available that cater to adults and teenagers, as well as varying degrees of crowding, spacing and misalignment. At your initial consultation, dentist Graham Tinkler will help you select the best option for you, so that you can achieve the smile you’ve always wanted. This entry was posted in Dentist on 21st February, 2017 by Clearbrace Dentist. When you visit Graham Tinkler, you are not just meeting a set of skills, you are meeting a person. This means that you have someone you can talk to about what you really want and he will find the dental treatment that can give you that benefit. You can ask for more confidence in your smile, a tooth replacement method that will help you look younger or tips to help you maintain a fresh and healthy mouth. Whatever it is you can talk to your dentist. Graham Tinkler is committed to creating a safe environment for patients where they feel like their needs are being met when it comes to a dental treatment. When you first visit us, it’s about an exchange of information. Our dentist, Graham Tinkler, will want to know if you have any questions or concerns, if you are particularly nervous or if you have anything you would like to achieve. You will also provide a dental and medical history so we can meet you where you are. This all may lead to regular check-ups and maintenance like cleaning and polishing or you may decide to consider a treatment. You treatment journey takes you from where you are to where you want to be. This can often take a number of forms so you may need to choose which route you want to take. Your dentist in London will talk you through everything thoroughly and help you compare the different methods of achieving something like, for example, straighter teeth. The final decision is yours. When you have made it, you will get a detailed treatment plan if necessary. This includes a full breakdown of costs up front so that you can budget accordingly if you need to. We know that treatment does not necessarily end when the last piece of equipment is put down. You need to enjoy the effects and, potentially, take care of your teeth in a new way. At Graham Tinkler, London, we make sure we follow up with you to check you are completely happy. This is all part of the way we support our patients. This entry was posted in Dentist on 14th February, 2017 by Clearbrace Dentist.